The wonder kid George Hotz (aka Geohot) has now managed to jailbreak the newly release iPhone OS 4 Beta as well. He is the second one, behind the iPhone Dev-Team to achieve this feat. 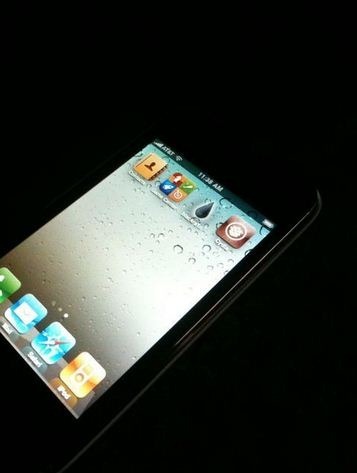 The following picture was posted by him on his twitter account which showed blackra1n running on iPhone OS 4. For the ETA (Estimated Time of Arrival) on release, please check out our detailed blog post here. Last week, Apple unveiled iPhone OS 4 which brought more than 100 new features and over 1500 new APIs for both users and developers respectively. iPhone OS 4 is fully supported on iPhone 3GS and iPod touch 3G. iPhone 3G and iPod touch 2G will run most of the things except for multitasking. An iPad version of iPhone OS 4 is expected to be released this fall. UPDATE 1: Jailbreak iPhone OS 4 with Redsn0w 0.9.5 is here. Step by step instructions can be found here.